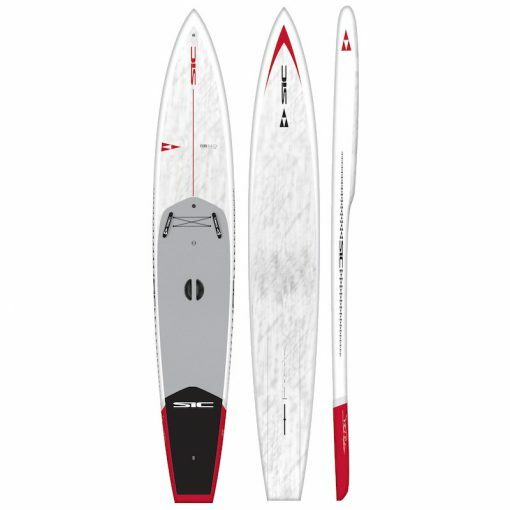 (SCC) Single Carbon Composite full wrap biaxial carbon with InnegraTM tip, rail and tail reinforcement, PVC reinforced deck, croc skin EVA deck pad, 12K carbon Weedless fin, Gore-Tex breather valve, EZ-Grab handle, multiple leash attachment options, 2 race handles, Cargo Bungee, 4 rail drain holes. Short for “Rocket Ship,” the RS Series is proving to be one of fastest all-water race boards in the world. We have developed and tested these shapes starting at Pacific Paddle Games 2016 and have made countless prototypes, refining and honing in on the perfect design characteristics. In 2017 all the R&D culminated into final prototypes that would be put to the test in technical, long distance, sprint, and downwind races in order to validate that the RS is one of the fastest, most well rounded, all water race boards in the world. 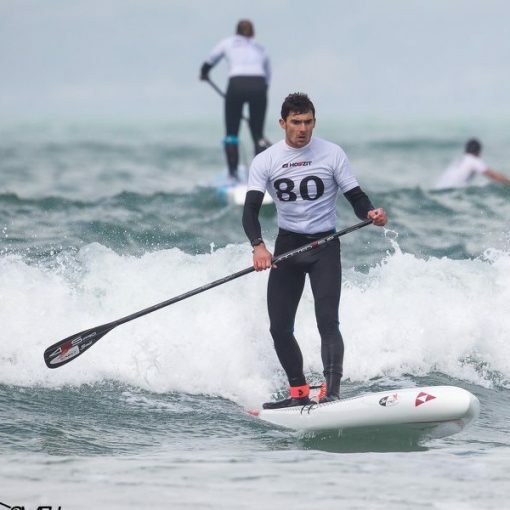 This board has been a top finisher against the world’s elite paddlers in races such as the Olukai, Association of Paddlesurf Professionals Tour – Ho’okipa Beach on Maui, the Carolina Cup and on The Euro Tour. These boards have been tested more than any other race board in SIC’s history. The RS has proven to be race ready and will surely take you to the top of your game and the front of the pack. Aside from racing, the team has had a lot of fun on the wider width models, testing them in a variety conditions, touring and blasting downwind runs with friends. The shape and various widths and volumes have proven to be amazing for performance cruising, recreational fitness and touring. Offered in 8 sizes – 3 widths in the RS 12.6 (23.5, 25.0, 270,) and 5 widths in the 14.0 (21.5, 23, 24.5, 26.0, 28.0). 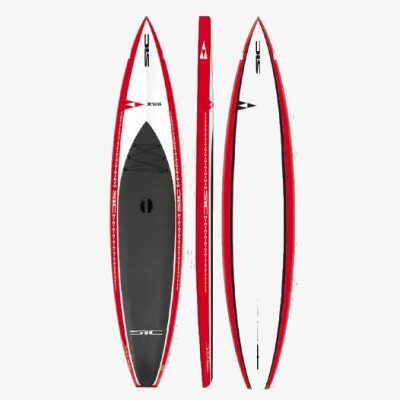 The RS Series comes in an SCC+ (Single Carbon Composite + InnegraTM) construction. A perfect balance of overall volume and foam distribution; the more voluminous bow keeps the board from purling when paddling downwind and through chop. 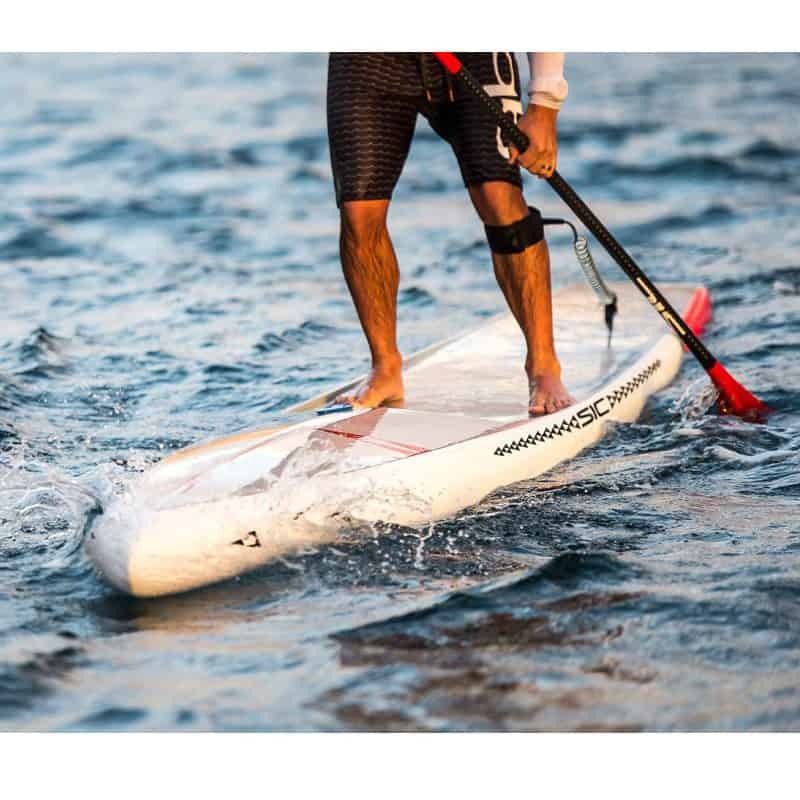 The center-line running down the foredeck sheds water quickly from the deck; geometrically it helps to stiffen the board, which further contributes to the board’s speed. 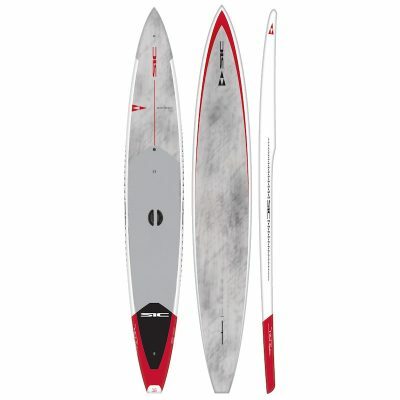 The midsection has a slightly dug out cockpit in the standing area, positioning the paddler closer to the waterline for enhancing stability and power to the board. The cockpit transitions to flat as you move to the tail for unimpeded movement when you step back to pivot turn or when standing on the tail on a downwind run. 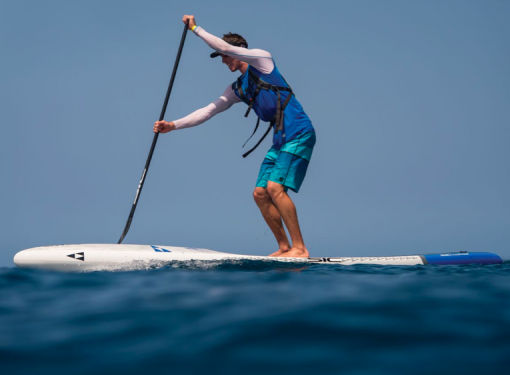 A wide tail provides for greater stability rail-to-rail and the tail does not bob up and down when paddling with a high cadence stroke. One of the most noticeable design characteristics is the channel on the bottom of the board. This helps to create high pressure under the board, further enhancing stability, directing water flow over the fin and promotes a straighter line through the water, as a straight line is the fastest distance between two points. 1.799,00 € 1.249,00 € inkl. 19% MwSt. 2.199,00 € 1.499,00 € inkl. 19% MwSt.